dmDickason - What is a PEO? American business is undergoing fundamental changes in human resource management, and the PEO industry is one response to the critical needs of growing companies. A Professional Employer Organization, more commonly known as a PEO (or Staff Leasing Company), is a company which contractually assumes and manages many critical human resource responsibilities and select employer risks for its business clients by establishing and maintaining an employer relationship with the worksite employees. 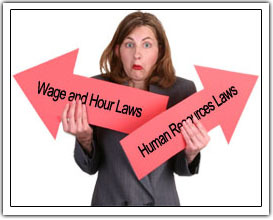 As business continues to grow, many employers do not have the necessary human resource training, payroll and accounting skills, knowledge of employment regulatory compliance, or backgrounds in risk management, workers’ compensation or claims administration to meet the demands of being a progressive employer. Few, if any, small to medium-sized businesses can afford (or need) full-time specialized staff managers to handle these important responsibilities. By engaging dmDickason, our company can legally share in these responsibilities by providing trained specialists to actually assume many of the duties mentioned above. More importantly, by shifting some of these responsibilities to dmDickason, our clients can now dedicate more time to research and development, the production of their products and services, marketing, sales and the timely delivery of quality products and services. dmDickason is not only helping business entrepreneurs with managing their businesses, but also their workers, by establishing and maintaining a healthy long-term / open employment relationship and providing affordable “big-company” benefits. 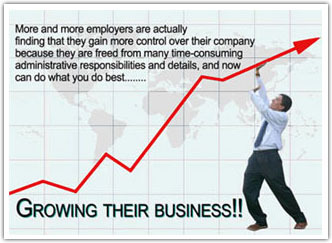 More and more employers are actually finding that they actually gain more control over their company because they are freed from many time-consuming administrative responsibilities and details, and now, can do what they do best – growing their business! For more answers to commonly asked questions (regarding the PEO / Client Company arrangement) please click on “Frequently Asked Questions” or “FAQs” found on our home page.